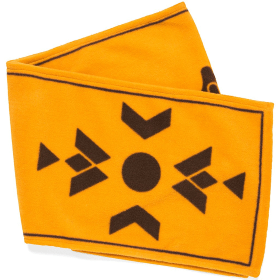 No matter what your favorite game is, you can find something to wear from TeeTurtle or ThinkGeek. 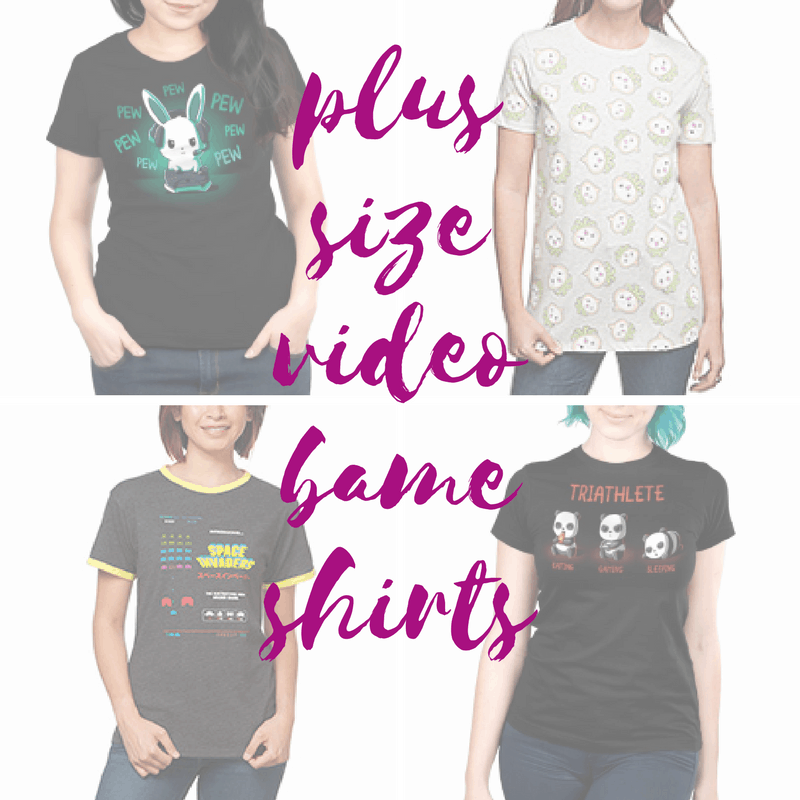 Because she and I both love video games (I’m more of an Xbox girl and she’s more about PC gaming) I’m always on the lookout for cute video game shirts that are flattering. Thankfully, we don’t have to buy men’s video game shirts anymore. (I can’t stand that box shape!) 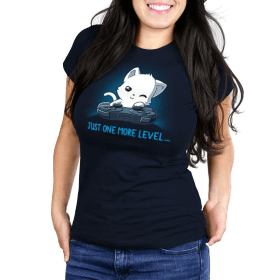 We can get stretchy or fitted tees with all kinds of cute video game graphics and sayings. These shirts all came from TeeTurtle (especially cute!) or ThinkGeek or LootCrate. Don’t let the pictures fool you. 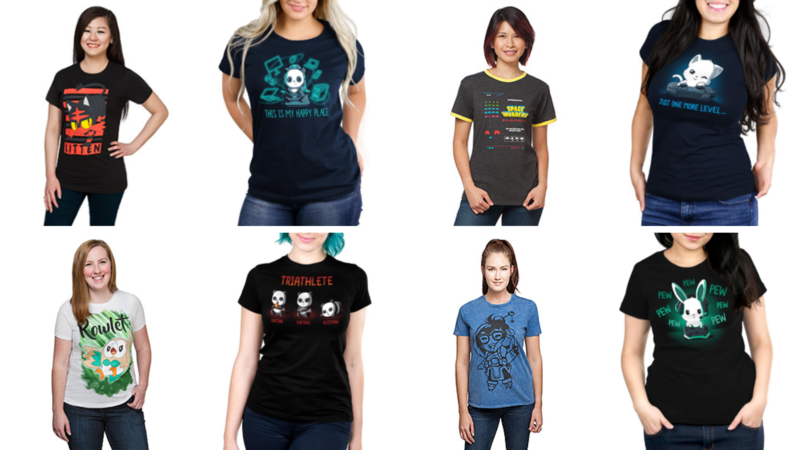 These ladies may not be plus size, but the video game shirts I’ve curated here are offered in plus sizes. 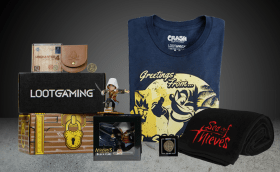 If you’re serious about gaming, then this LootGaming subscription box is for you. Every month you get a box with 4-6 items related to video games. It always includes a t-shirt. You just have to tell them your size when you sign up. Wanna try it but don’t want to pay full price? I’ve got a discount code for you! 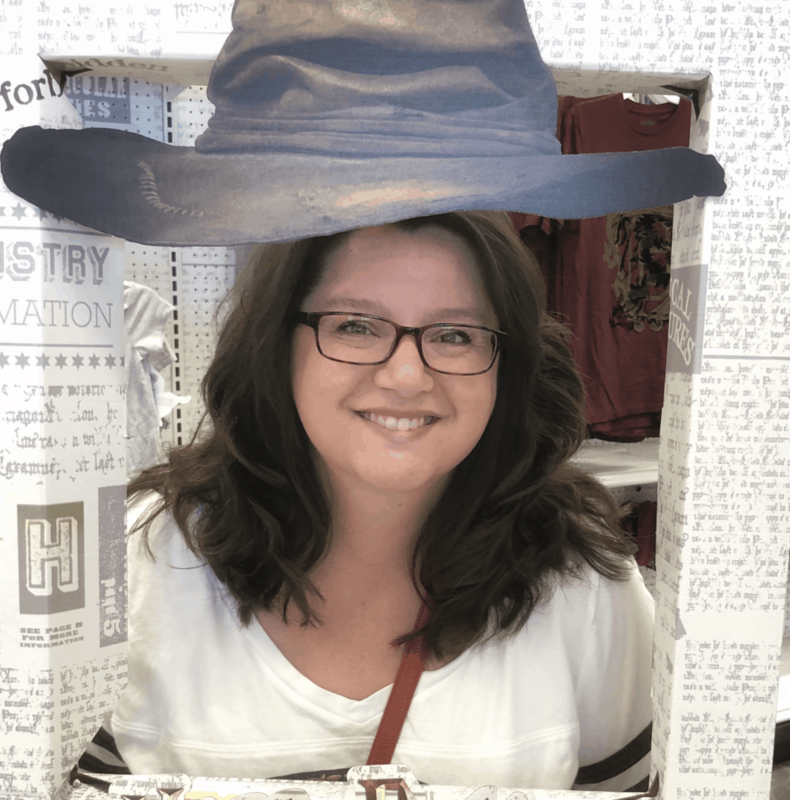 Just sign up for my newsletter and you’ll get it in the welcome email. 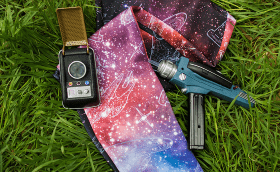 LootCrate also has a subscription box called LootWear that sends you a new t-shirt every month. It’s not necessarily a video game shirt, but it’s always cool. I got it for my son for Christmas one year. He got an awesome Guardians of the Galaxy shirt and a super cool Twin Peaks shirt that was just an advertisement for the diner. If you’re not interested in signing up for a subscription, LootCrate has single video game shirts for sale too. And they’re usually cheap because they’re shirts that didn’t sell or whatever. Head over to the LootVault to see what’s in stock. Beware, they may not have a variety of sizes left. I love this little bunny who is so serious about gaming. Remember Monty Python’s killer rabbit? The Pew Pew Bunny could give him a run for his money. Way back when I was young and single, this video game shirt would have served me well. This was pretty much me on the weekends. Now it’s my kids! 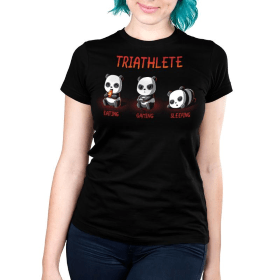 This Triathlete is the only kind I’ll ever be. This cute little Button Masher reminds me of Paboo on Avatar: The Legend of Korra. He’s a happy little guy. Why wouldn’t he be? He’s playing video games! 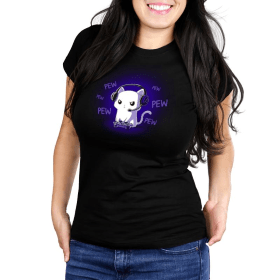 Now we’ve got Pew Pew Kitty looking oh so serious. 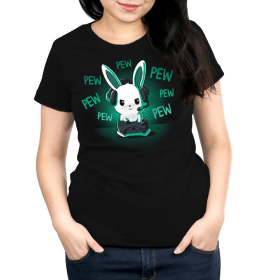 Do you think she’s playing Pew Pew Bunny? Going head to head! 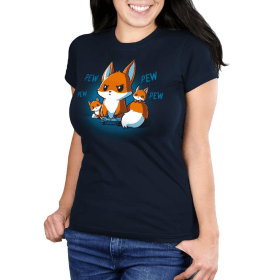 LOL Check out this Pew Pew Parent fox. This was me when my kids were younger and didn’t understand the concept of delayed gratification. Not just with video games. Whatever I tried to do, they zoomed in and took over, like tiny assimilators. I know you know this feeling. When the next level — or next achievement or skin or weapon or whatever — is so close that you just can’t go to bed. Ugh, been there too many times! This is a sweet One More Level video game shirt. Here’s a video game shirt you can totally wear with pride. A lot of times my Xbox is Happy Place. Especially when it’s Lego Marvel games. Here’s an old school video game shirt. I’m so old I remember playing Space Invaders when it first came out in the arcade. 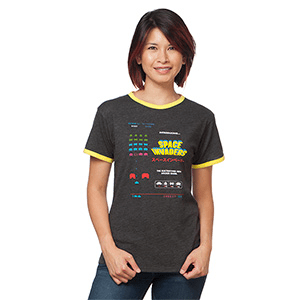 This Space Invaders t-shirt has a happy yellow trim that contrasts nicely with the black of space, don’tcha think? Hey, Pokémon Go fans! Check out this adorable Litten. It’s a fire-type, natch, with all that orange. 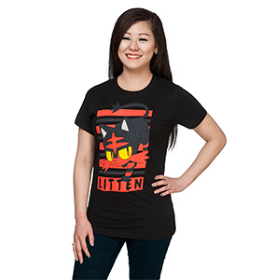 Wear this Pokémon Litten T-shirt to let other Go-ers that you’re a fan. 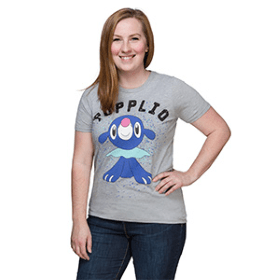 This Pokémon Popplio t-shirt is rep’ing one of the cutest creatures from Pokémon Go. It has a fun paint splatter pattern. And the Pokémon shirts just keep coming! This little guy looks pretty fierce. 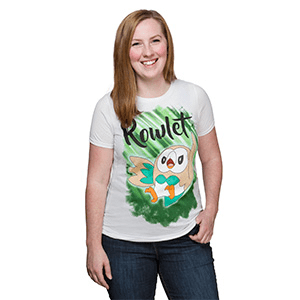 Time to head to a gym for battle in this Pokémon Rowlet t-shirt. For some reason, my daughter isn’t crazy about Mei. She says she’s not crazy about Mei’s alt. I like her because she’s all about cold and snow, which I love! 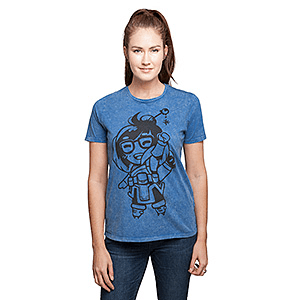 So I think this Overwatch Mei Snowball t-shirt would suit me better than her. This little Pachimari is so cute that it looks like it belongs in Cuphead. 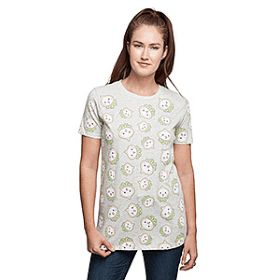 Only die-hard fans will recognize the upside-down turnip on this Overwatch Pachimari t-shirt. 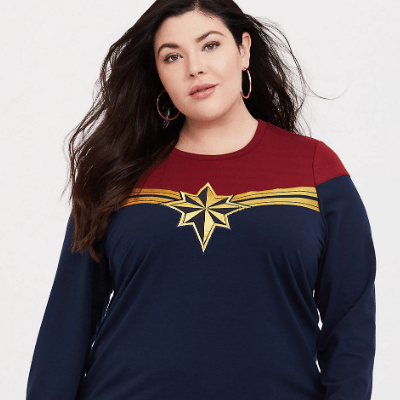 I hope I gave you some ideas for video game shirts for plus size women. 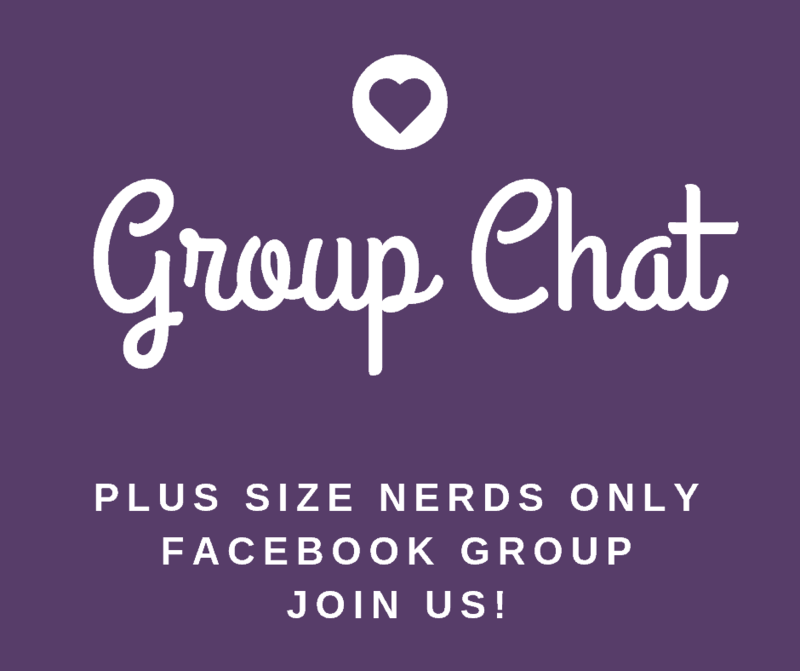 We’re an elite group! 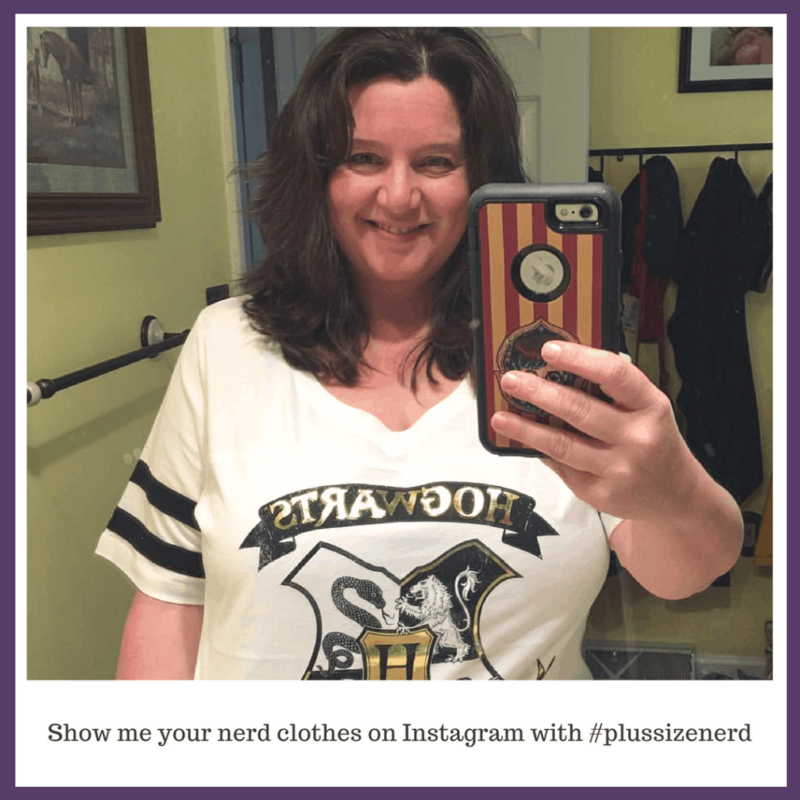 If you wear a video game shirt, take a pic and share it with #plussizenerd so I can see it. Teeturtle is great for many sizes.